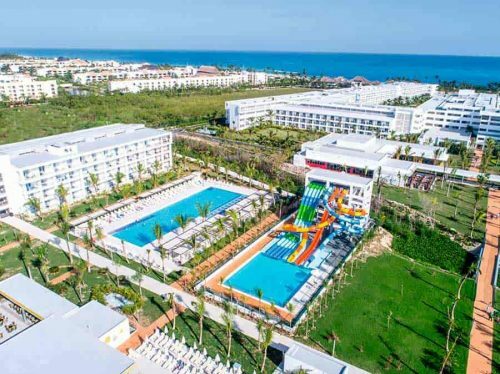 Featuring more than 1,300 rooms, 8 pools, 9 restaurants, waterslides, and more, the Riu Republica is one of the newest hotels in Punta Cana. 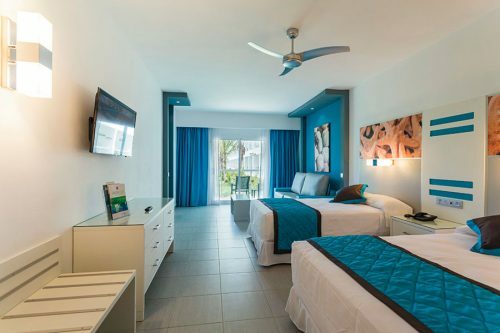 In the facilities of this adults-only hotel on the Arena Gorda beach, you’ll find eight swimming pools, some with swim-up bars or areas with water slides for you to experience a refreshing and fun-filled stay, minibars, and watersports! They also have 10 bars on the property, so you’re never too far from a drink! 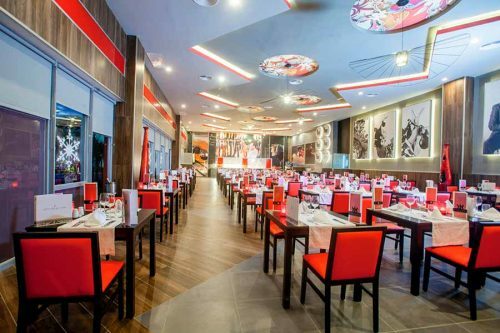 The more than 1,300 rooms of the Hotel Riu Republica are distributed in three buildings. 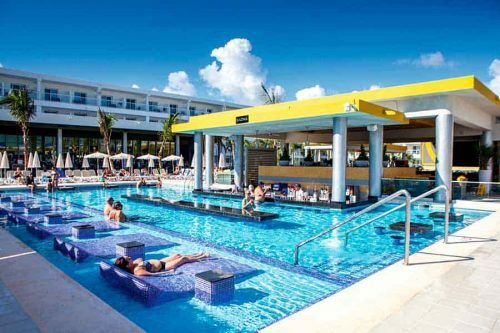 In all of them, you’ll enjoy the best amenities, like satellite TV, air conditioning, a safe, a minibar and beverage dispensers, among many others. Fun is guaranteed at the Hotel Riu Republica thanks to the entertainment programmes, the discotheque, and the shows and live music. The more athletic guests can practice sports like volleyball, windsurfing, snorkeling, kayaking…, or go to the hotel gym.